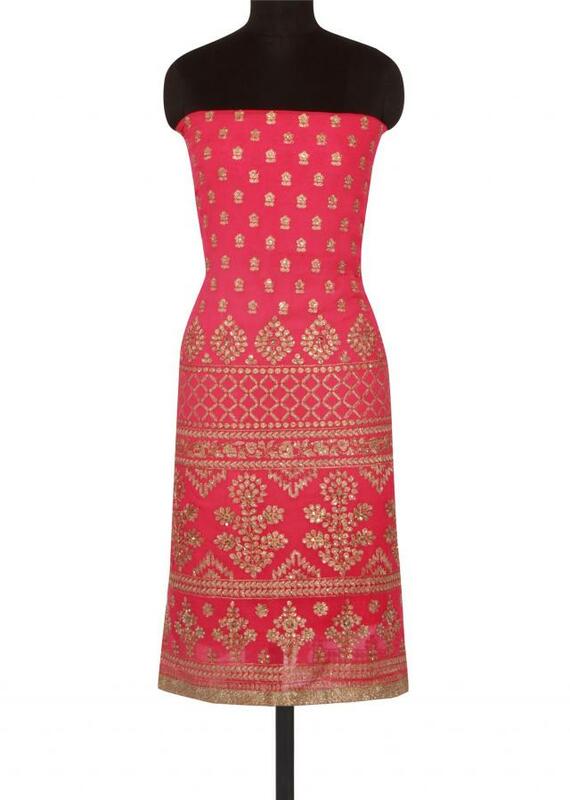 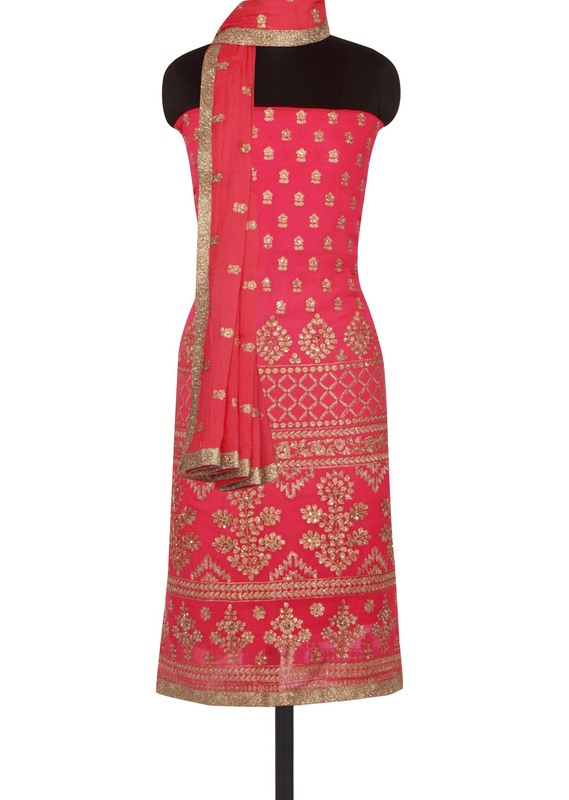 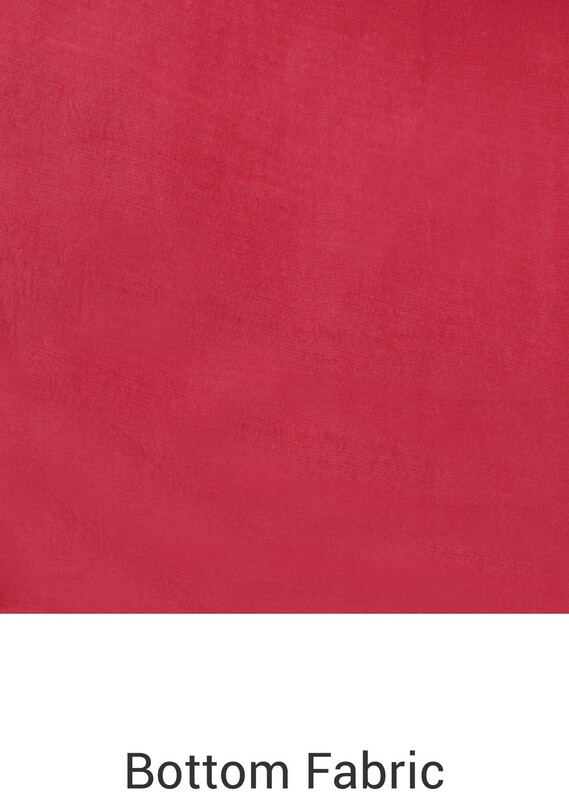 Dark pink unstitched suit featuring in georgette. Its embellished in zari and kundan embroidery. 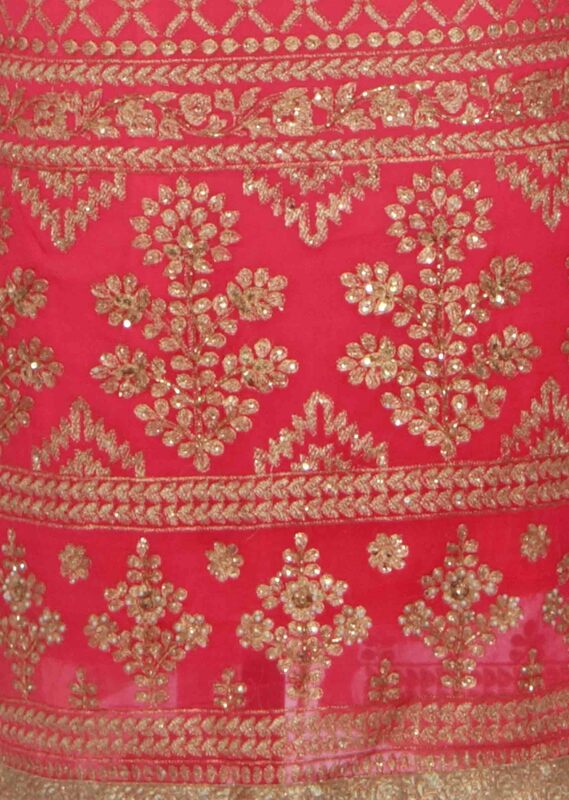 Bottom fabric is in santoon and dupatta in crepe georgette.